With Harry Saltzman now out of the picture, having sold his shares in Danjaq to United Artists, Albert R. Broccoli was left in sole control of the Bond series of films. But he had a problem to deal with when starting pre-production on the next film. Both 'Live And Let Die' (1973) and 'The Man With The Golden Gun' (1974) had been sluggish at the box office and United Artists' response was to throw twice as much money into the new film as they had invested on "Golden Gun" in an attempt to rejuvenate the ailing series. 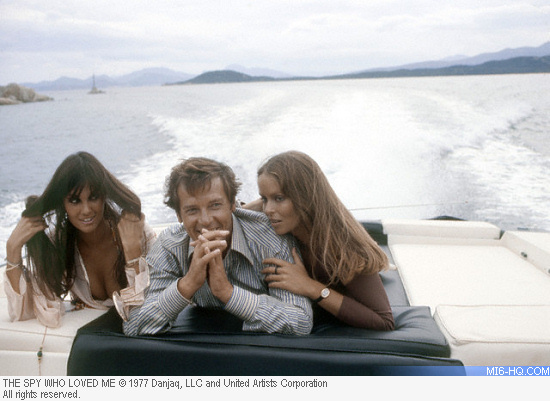 The Ian Fleming novel chosen to be the tenth official was to be 'The Spy Who Loved Me', a strange, experimental work that barely featured Bond at all. Fleming had been aware of the novel's shortcomings as potential film material and it was the only one of the canon that had a rider attached - before his death, Fleming had insisted that if EON were to use The Spy Who Loved Me, then they should take the title only and must come up with their own storyline. Broccoli commissioned a number of writers to work on fashioning the script into something suitable, among them Stirling Silliphant, John Landis, Ronald Hardy, Anthony Burgess and Derek Marlowe. Eventually, it would fall once again to Richard Maibaum to build the framework for Bond's latest adventure and at first, he tried to incorporate ideas from all of the other writers into his script. This proved just too cumbersome, though it has been suggested that some of the other writers' work does survive through to the finished film - the submarine silo, for example, is said to have come from Anthony Burgess. 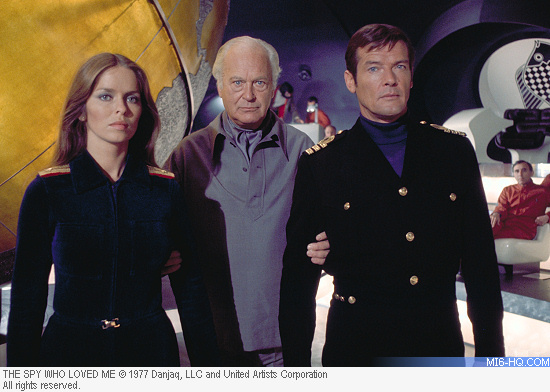 Maibaum's original pass at 'The Spy Who Loved Me' featured an alliance of international terrorists storming SPECTRE's headquarters and deposing Blofeld before trying to destroy the world for themselves to make way for a New World Order. Broccoli quickly stomped on this first draft, dismissing it as too political and it was back to the drawing board for Maibaum. Meanwhile, Guy Hamilton, who had overseen the previous three Bond films, none of which had done as well as his debut in the series, 'Goldfinger'(1964), was originally penciled in to direct Spy. But while the film was in pre-production, the Salkind brothers were preparing their epic 'Superman: The Movie' (1978) and Hamilton decided that he wanted to be free to pursue the possibility of directing for the Salkinds instead. This left the way open for Lewis Gilbert to return to the fold, almost a decade after his success with 'You Only Live Twice' (1967). When he read Maibaum's script, he recommended that Broccoli bring in another writer, Christopher Wood, to have a go at polishing it into shape. Wood was better known under his nom de plume, Timothy Lea, author of the successful Confessions... series of books and the subsequent hugely popular film series. Wood reworked Maibaum's script, keeping the notion of a super tanker that swallowed up other ships and the new villain, Jaws, the assassin with the steel teeth. Later, while the film was in production, successful TV producer Gerry Anderson began to smell a rat. Back in the early 70s, Harry Saltzman had asked Anderson and his colleague Tony Barwick to write a script based on the novel Moonraker. This the couple duly did, penning a script that featured an oil tanker that made off with and fired nuclear missiles. 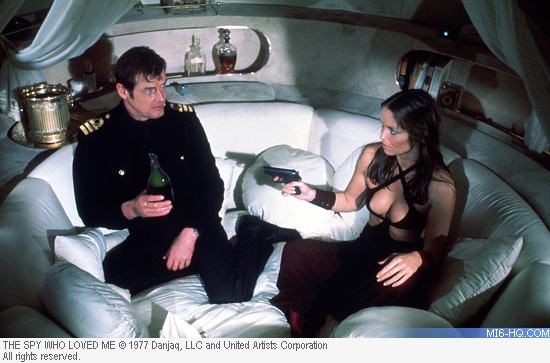 Some friends of Anderson's [among them effects maestro Derek Meddings] were working on The Spy Who Loved Me and had shown Anderson a copy of the script - which, of course, also dealt with an oil tanker. 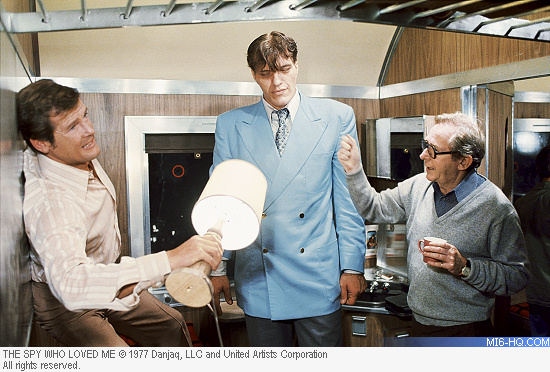 Deciding that Maibaum and Wood's script was a little too reminiscent of his and Barwick's treatment for Moonraker, Anderson instructed his lawyers to begin legal action against Broccoli. But, as he explained in Gerry Anderson - The Authorised Biography, "My lawyers weren't show-business lawyers, so I was really in a very weak position. I must confess I became very frightened, and after a few weeks decided to drop the matter." Anderson agreed to accept a nominal payment of £3,000 from EON on the agreement that he handed over the treatment and destroyed any other copies. Wood's proposed changes to Maibaum's draft script were agreed by Broccoli, but before he could set to work, there were more legal complications. In the years since 'Thunderball' (1965), Kevin McClory had set up two film companies and, collaborating with Sean Connery and novelist Len Deighton, had been trying to get a new Bond film off the ground. McClory had got wind of Broccoli's plans to use SPECTRE, an organization that had first been created by Fleming while working with McClory and Jack Whittingham on the very first attempt to film Thunderball, back even before it was a novel, in the late 1950s. McClory threatened to sue Broccoli for alleged copyright infringement, claiming that he had the sole rights to use SPECTRE and its agents, including Blofeld. Not wishing to get into what could have been a lengthy legal battle that could have delayed production on The Spy Who Loved Me, Broccoli ordered Wood to take out any references to SPECTRE in his script. For the part of Russian agent Anya Amasova, Broccoli had originally wanted former model Lois Chiles. But inquiries to her agent revealed that Chiles was, supposedly, in temporary retirement. The truth was that Chiles had been hurt by one of her critical notices [which dismissed her as "no more than a table decoration"] and was taking acting lessons in New York. Instead, the part went to former model Barbara Bach, the future Mrs. Ringo Starr. With Ken Adam back on board and with a much larger budget than of late, it was inevitable that we were going to get a Bond on a grand scale. So grand, in fact, that Bond's traditional home at Pinewood simply didn't have anywhere large enough to house Adam's latest extravagance, the interior of Stromberg's massive super-tanker. 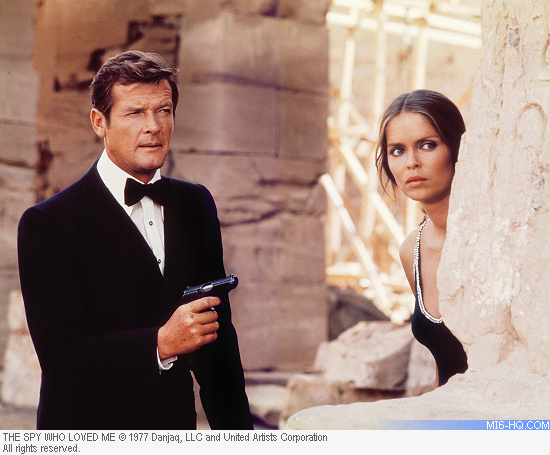 Broccoli's answer was to begin work, in March 1976, on the construction of a whole new sound stage at Pinewood, the enormous 007 Stage, the largest stage anywhere in the world. To complement this 374 x 160 x 53-foot tall monstrosity, Eon also paid for the building of the largest water tank in the industry, capable of taking some 1,200,000 gallons. At a time when Britain was gripped by a severe drought and the water shortages that went with it, this was seen by some as an unnecessary extravagance, though EON maintained that the water they used was taken from a natural well buried beneath the stage. While construction on the massive Liparus set continued, the second unit, headed by John Glen, set off for Asgard Peak in Baffin Island, Canada where, in July 1976, they staged the film's much-loved pre-credits sequence - Bond's audacious escape from his pursuers by skiing off a cliff edge and sailing to freedom beneath his union jack parachute. 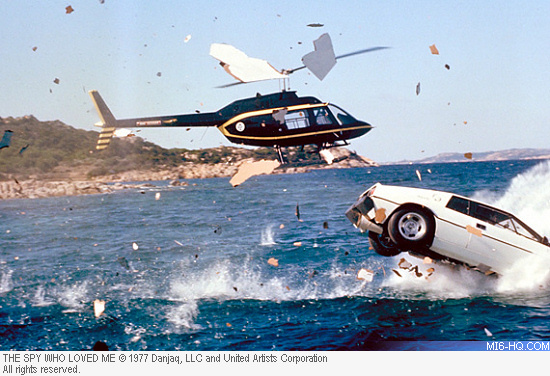 Bond film veteran Willy Bogner was on hand again to capture the action which was staged by stuntman Rick Sylvester who earned a well deserved $30,000 for the highly dangerous stunt. The main unit began its work in August 1976, traveling first to Sardinia and later to Egypt for some of the film's key early scenes. While in Sardinia, Moore got to drive the first of two Lotus Esprits that were to feature in the film. The second, specially modified model [nicknamed 'Wet Nellie'] was unveiled by Ken Adam and Derek Meddings in October when the second unit, this time supervised by Michael G. Wilson, traveled to Nassau to film the many underwater sequences. Back in Egypt, the crew visited Cairo's spice market, the Gyer-Anderson Museum and, of course, the Giza pyramids. During the shoot, however, the crew was caught in a food shortage, requiring Broccoli himself to step in and save the day by cooking spaghetti for his hungry, 100 strong cast and crew. The production returned briefly to the UK to shoot at the Faslane submarine base before setting off to Spain, Portugal and the Bay of Biscay where the supertanker exteriors were filmed. 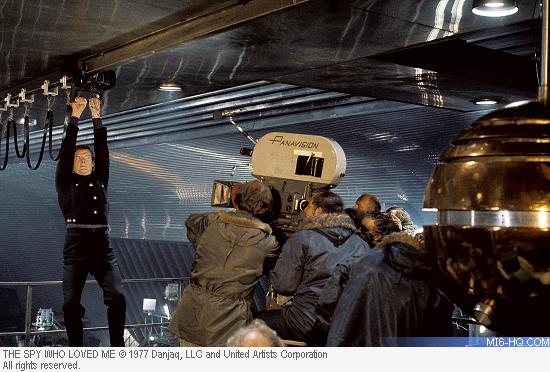 On 5 December 1976, with principal photography finished, the massive 007 Stage was formally opened by Prime Minister Harold Wilson at a star-studded ceremony. The Spy Who Loved Me opened with a Royal Premiere, attended by Princess Anne, at the Odeon Leicester Square in London on 7th July 1977. The subsequent premiere party was hosted by Broccoli at the Intercontinental Hotel in Park Lane and itself cost £143,000. Over dinner, Broccoli raised the potentially tricky topic of Moore's commitment to the series. Moore's original contract with EON had tied him to only three films, all of which had now been made. But Broccoli need have had no worries - Moore was only too keen to keep on going and readily agreed to appear in the next film, which Broccoli was already planning to be 'For Your Eyes Only' (plans would change to 'Moonraker' next). 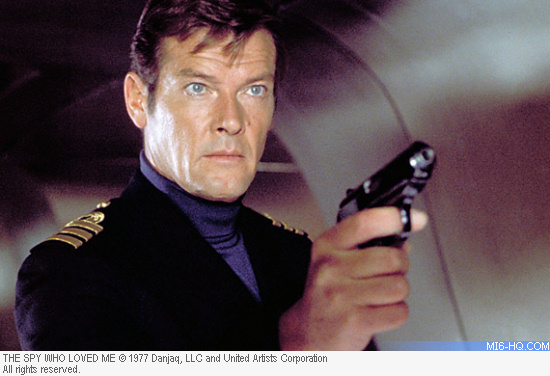 When it opened to the public, 'The Spy Who Loved Me' proved to be a much more successful venture than the disappointing . American attendances reached 21 million and eventually, the film would gross $185.4 million dollars worldwide.